Rack measures 3.75 x 3.2 x 3". 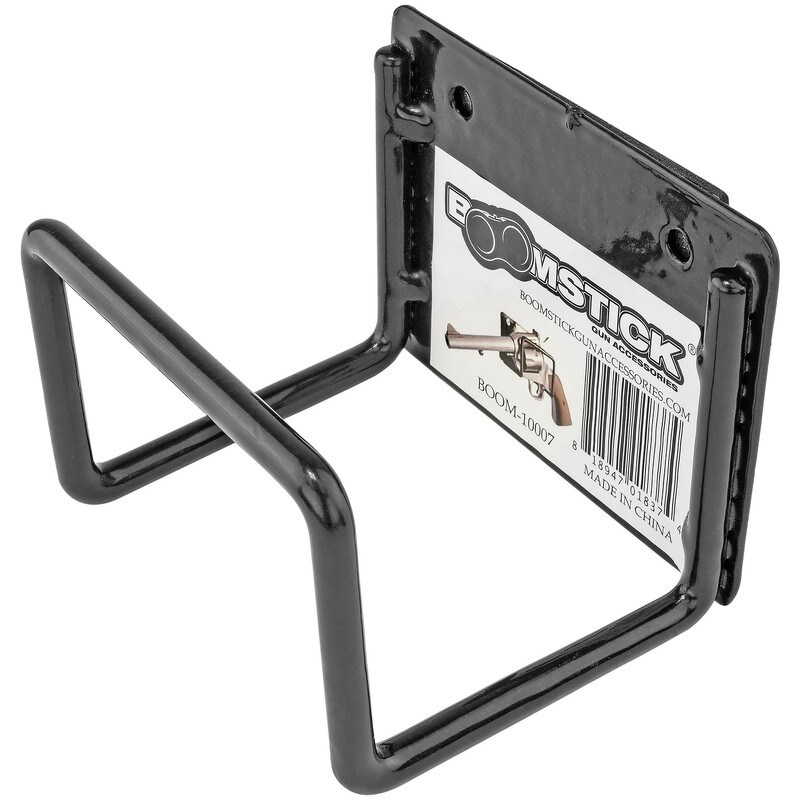 Width of gun channel is 2.5"
This Boomstick Gun Accessories mount anywhere handgun rack is the perfect way to store your precious weaponry in what would otherwise be wasted space! Simply peel the top off the included double sided foam and stick the stand on any solid surface such as a wall or the inside door of your safe and you are set! No drilling or complicated assembly needed, it's as easy as it gets! Each stand does have two holes and comes with screws and wall anchors so that you may mount the stand to make it more permanent if you do desire that option. Sturdy vinyl coated metal means your guns finish is protected while not in use. Rack is designed to work with virtually all handguns including most wide body and magnum caliber revolvers. Rack measures 3.75 x 3.2 x 3". Width of gun channel is 2.5"